I’m over 300 miles! I’m at 344 right now. There is a picture of me overlooking Big Bear below. It was cloudy when I left the hot springs at 5am. The temperature was cool and never warmed up throughout the day. The wind came up and never left, sometimes with very strong gusts. It tryed to rain several times in the afternoon, but I was spared. My goal today was the campground on the far side of Silverwood Lake. 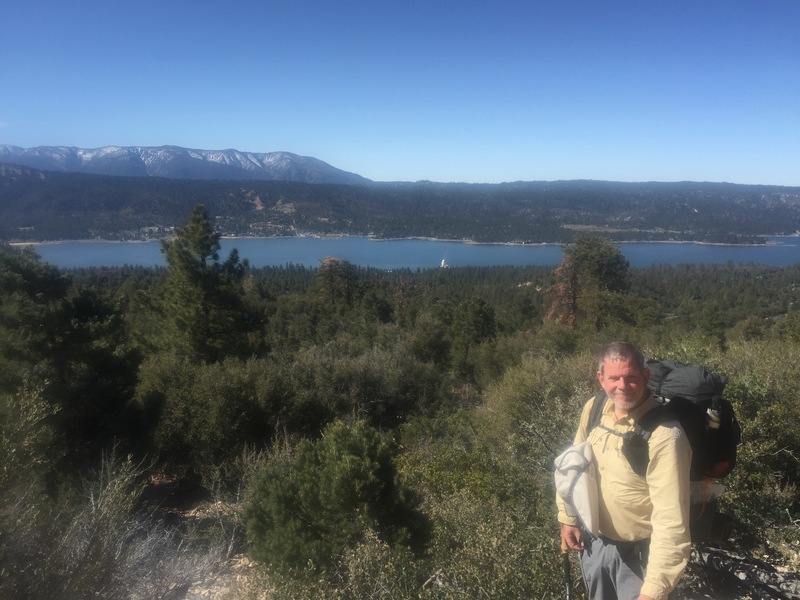 What would have been a nice 5.5 mile hike around a nice lake was marred by the high winds, piercing cold and threat of rain. Still, it was a productive day with 23 miles hiked. Rained all night and finally quit at 6am. It was a windy and damp morning as I hiked the 14 miles to Cajon Pass. The twisty sandstone cliffs were tough to hike with the strong winds. I didn’t mind however. Normally the heat would make these hills awful. 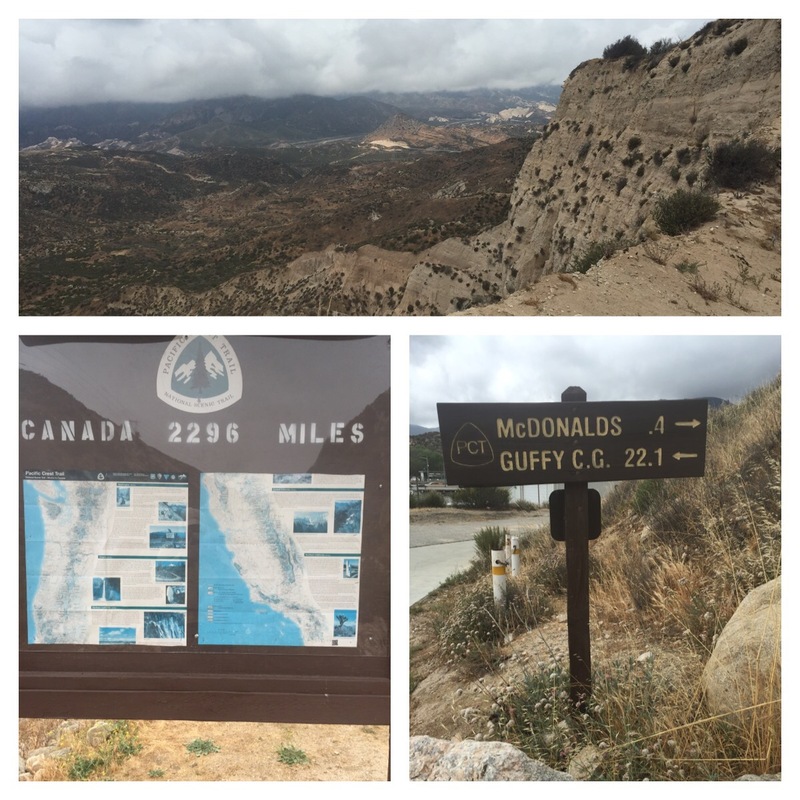 I finally made it to the most famous McDonalds on the PCT. They even made a mile marker with the side route. I hope you had a cheeseburger because you are in paradise!